Under the collaboration framework between the Faculty of Environment, Vietnam National University of Agriculture (VNUA) and Yamagata University, Japan, in research training and students/lecturers exchange, Vietnam National University of Agriculture (VNUA) sent a delegation of5 students and 1 lecturer to participate in the Sakura Exchange Program in Science at Yamagata University. This prestigious program aims to send excellent students to modern universities and research institutes in Japan Students participating in the program are fully funded by the Japan Science and Technology Agency (JST). 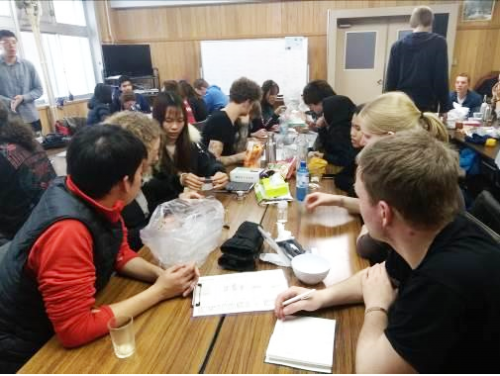 Under this program, VNUA’s students were divided into different groups to participate in the research activities and the discussion and presentation of research results with students from Thailand, Japan, Indonesia, and Germany on environmental resources. During two days, the students had the chance to carry out research on the functions of the forest and the water, carbon and nitrogen cycles. Students carried out their experiments by digging snow horizon and taking samples to assess the water volume and the environmental quality components at the temperatures of 0-2℃. After assessing the carbon stocks and plant biomass, the groups of students visited a thermal power plant using wood biomass, coal, and wind power to assess the level of environmental pollution through CO2 emission index. 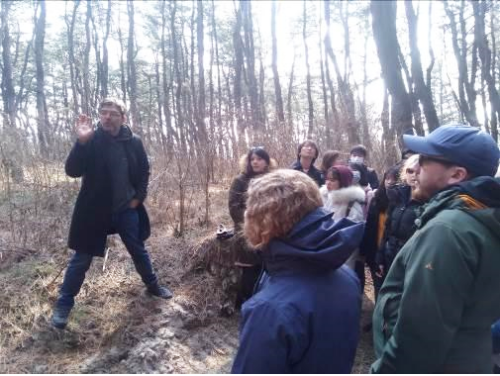 The students also visited a costal forest and evaluated its function in minimizing the impact of the wind and reducing the risk of tsunamis. Groups of students dig snow horizon for snow sampling. The students analyzed the chemical contents such as pH and Nitrate levels in the snow samples. 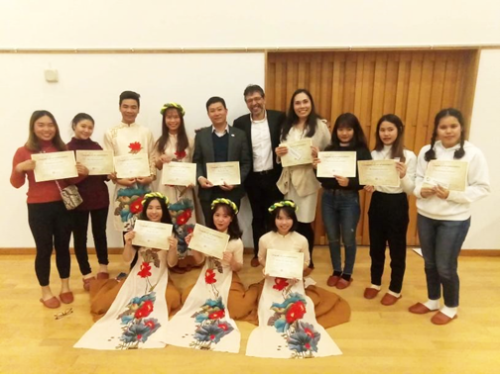 During the cultural exchange programme, many cultural exchange activities such as cooking Vietnamese cuisine, showing “ao dai”, the traditional Vietnamese costume, and cultural performances. Teachers from participating universities were instructed by VNUA’s students to make spring rolls and had the chance to enjoy their own dish afterwards which made them very excited and delighted. During the closing and certificate awarding ceremony, friends from other countries also praised the beauty of “ao dai”. 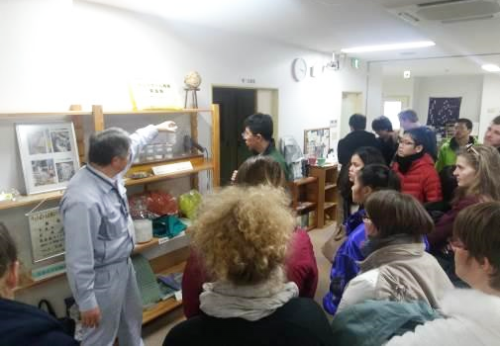 The positive results from this visit to Japan have proved the success of the student exchange program between Vietnam National University of Agriculture and Yamagata University funded by Sakura Science. VNUA’s students were proud of being on par with excellent students from other countries and showed their creation in research as well as various strengths and cultural values. In the coming years, the program will be continued and the students of the Faculty of Environment will keep on being VNUA’s ambassadors. In the program closing ceremony, the Japanese representatives committed to provide 5 scholarships to VNUA’s students of Environmental Science annually. Moreover, the Japanese partner also suggested expanding the internship location for the Sakura Exchange Program to Sapa, Vietnam.